Welcome to the 2018 STAR Evaluation! Our evaluation is a required activity and extremely important to the ongoing success of STAR. Please answer the questions accurately and fully. Our future funding depends upon evaluation! In addition to our evaluation, you have the option of allowing us to use your answers for research purposes. The research option DOES NOT ADD ANY ADDITIONAL WORK on your part! Giving us your consent for research means that we can use your information for two purposes. The informed consent is below. Thanks for your consideration! A research project on the 2018 STEM Teacher and Researcher (STAR) Program is being conducted by Dr. Sanlyn Buxner (University of Arizona) Maya Bakerman, and Dr. Stamatis Vokos and Kaylene Wakeman (Cal Poly, San Luis Obispo). 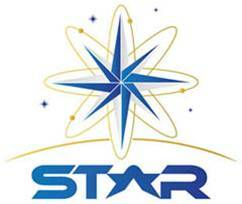 The purpose of the study is to 1) evaluate the effectiveness of the STAR Program so as to shape its development and implementation, and 2) determine the impact of the program on recruitment, preparation, and retention of STEM educators who have had an immersive summer research experience at a national research facility. You are being asked to allow your required evaluation responses and information you provided in your application to the STAR Program to also be used for research purposes. Consenting to allow your responses to be used for research requires no extra effort on your part. You are not required to consent to your responses being used for research. The evaluation you are required to complete includes a set of pre-program and post-program evaluation surveys. Each will take approximately 45 minutes to complete. Thus we estimate your participation in the evaluation process will take approximately 1.5 hours to complete in total. The pre-program survey will be administered prior to the first week of the program and the post-program survey will be administered during the last week of the program. Your participation in this effort is required for purposes of program evaluation. It is up to you to decide if you want your responses to be used in any research publications. As described below, there are significant personal and collective benefits associated with participation in this evaluation effort regardless of whether you agree to include your responses in any research publications. There are no known risks from your research participation. There is no direct benefit for you if you allow your answer to be used for research purposes. A direct benefit from your evaluation participation is that the surveys will provide opportunities for you to reflect upon your STAR experience and hopefully grow as a result of this reflection process. Programmatically, benefits associated with the evaluation include the opportunity to improve the implementation of the STAR program in future summers and to demonstrate the benefits of the STAR Program to potential funders. Allowing your responses to be used for research purposes allows us to report research findings regarding the STAR program to the broader STEM education community, which is interested in the benefits and challenges associated with teacher-researcher experiences for aspiring and early-career teachers. There is no cost to participate. You are required to complete the evaluation questionnaires as part of your STAR experience anyway. Your voluntary participation that allows us to use your answers for research purposes is greatly appreciated! Your confidentiality will be protected by the research team in the following manner. Dr. Buxner is a third-party consultant who will be responsible for data collection and report preparation. Dr. Buxner will replace your name with a confidential ID CODE before your answers are used for research purposes. The list of ID CODES and participant names will be kept in a password protected, encrypted file for security. The file will be destroyed after one year. If you have questions regarding this study or would like to be informed of the results when the study is completed, please feel free to contact Dr. Sanlyn Buxner (sbuxner@gmail.com; 720-837-0477) or Dr. Vokos (svokos@calpoly.edu). If you have questions or concerns regarding the manner in which the study is conducted, you may contact Dr. Michael Black, Chair of the Cal Poly Institutional Review Board, at (805) 756-2894, mblack@calpoly.edu, or Ms. Debbie Hart, Compliance Officer, at (805) 756-1508, dahart@calpoly.edu. If you agree to voluntarily participate in this research project as described, please indicate your agreement by selecting the electronic consent button below. Please keep a copy of this form for your reference, and thank you for your participation in this research. You may withdraw your consent for use of your information as research data at any time. Simply email sbuxner@gmail.com, state your name and that you withdraw your consent. There is no penalty for withdrawing your consent. Remember, you still must fill out the evaluation forms as part of your obligation to STAR. Thank you for your voluntary participation in this research effort regarding the STAR Program. Consent: I allow my information to be included in research. I do NOT Consent. I DO NOT allow my information to be included in research.